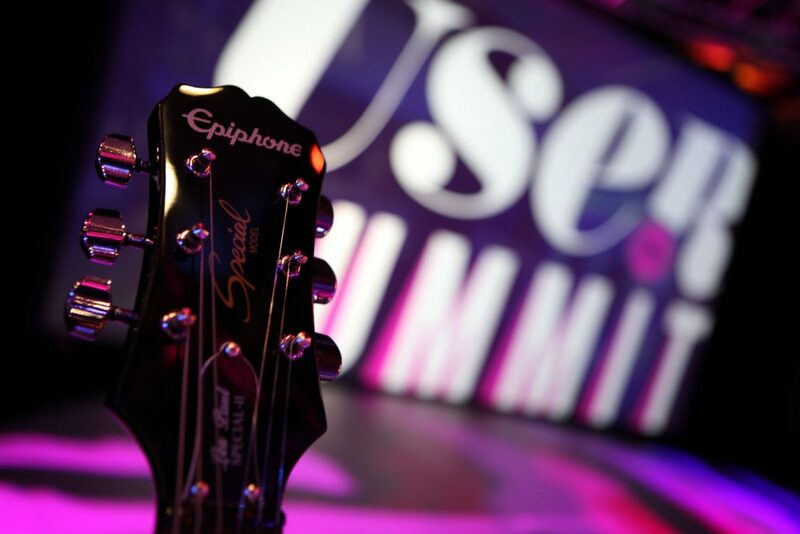 Multi Image Group partnered with DealerSocket to create a mind-blowing experience that would entertain and WOW the DealerSocket User Summit attendees on the final night of their event. 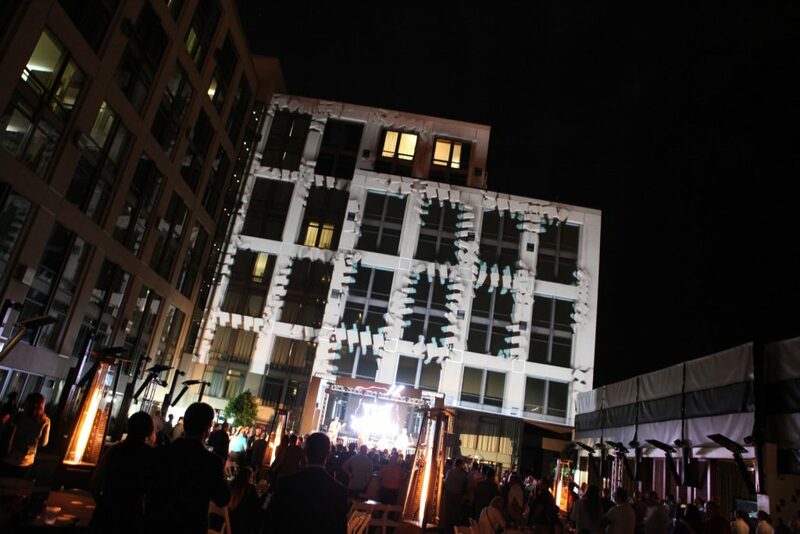 The MIG team incorporated the latest hardware and software and coupled that with our long-standing event experience and ultimately named us a top finalist in the 2014 Event Tech “Best Use of Projection Mapping” for the event in San Diego, California. 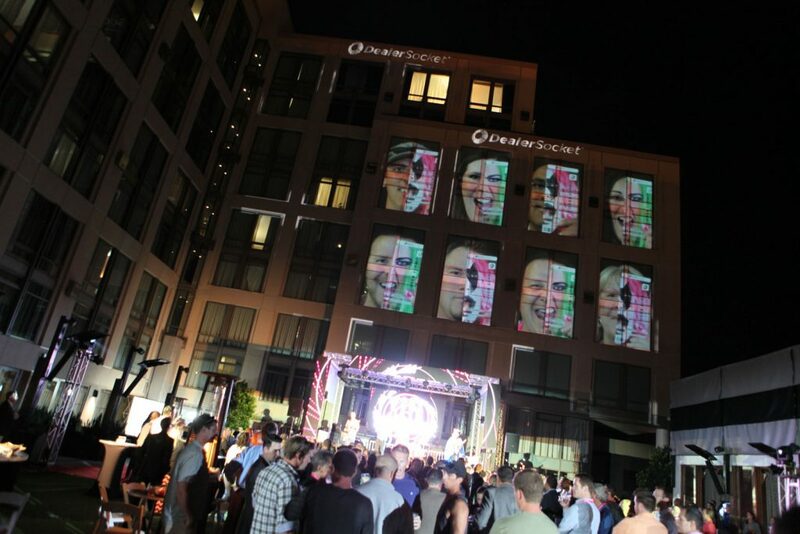 Jeffrey Poe, Creative Director on the DealerSocket project commented, “The client said, the results were beyond their expectations.” To accomplish this big impact, MIG designed, animated and installed a projection mapping experience that was displayed on the side of the Hard Rock Hotel in San Diego, California. The content was six stories tall and over 80 feet wide. The new Christie projectors provided an epically clear image that was so bright it could be seen from miles away. MIG used Mad Mapper to shape the video content and ensure that the images were perfectly aligned with the existing building. The team also used perforated vinyl on the 48 windows to provide a clear surface on which to project. Lastly, Multi Image Group incorporated an audio-syncing system to translate the ambient music and audience into visually impactful, real-time graphics. The impact was both seen and felt around the city of San Diego. 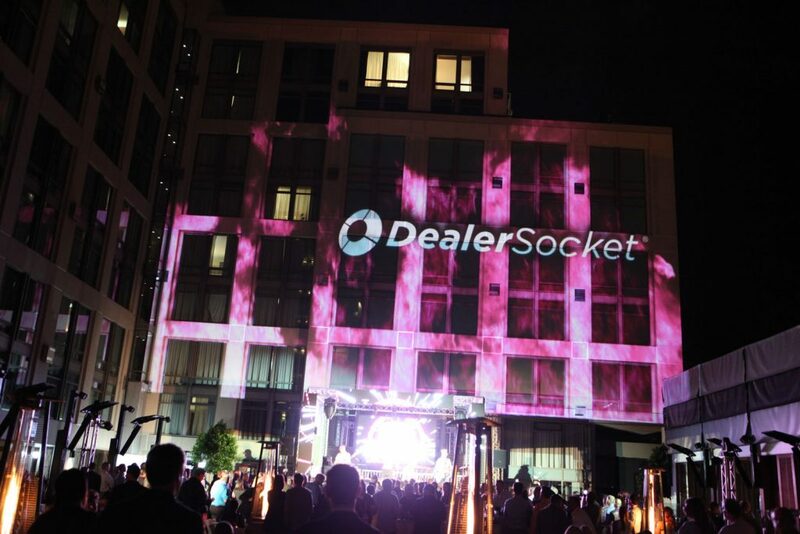 Attendees posted photos and videos of the event on their social media walls, driving DealerSocket’s impressions to the max. Additionally, local San Diegans were also spotted snapping photos and some even tried to crash this private event.